Thanks to an extended fall season, we made great progress on the bunkers and will resume the process in March. Greenside bunkers on #1 and #9 are finished! All re-shaping, reconfiguring and removal is complete. New drainage has been installed and some sod work completed. For visual, aesthetics and safety reasons, mounding contours have been created between holes #3 & #4 and #5 & #6. Some of the changes are dramatic, especially on hole #2 and #4. Others are more subtle and involved returning the bunkers to some of their original footprints. Some were eliminated (due to obsolescence) and others refined to a more practical design, with playability and maintenance in mind. “WHEN WILL IT BE DONE?” Good question. We don’t know, but expect to be finished in June. Completion will remain dependent on favorable weather and availability of sand from the manufacturer. As of March 8th, they were not producing sand. 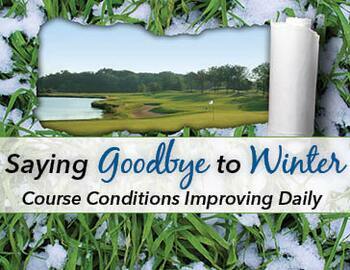 Remaining work: Remove debris and repair liner damage from winter weather. Install sand, A LOT OF IT! Sod new bunker perimeters and removed ones. Finish the contour mounding areas and sod them. The course is open for play, with special rates and Free relief from unfinished bunkers and unsodded ground! We look forward to seeing you soon!